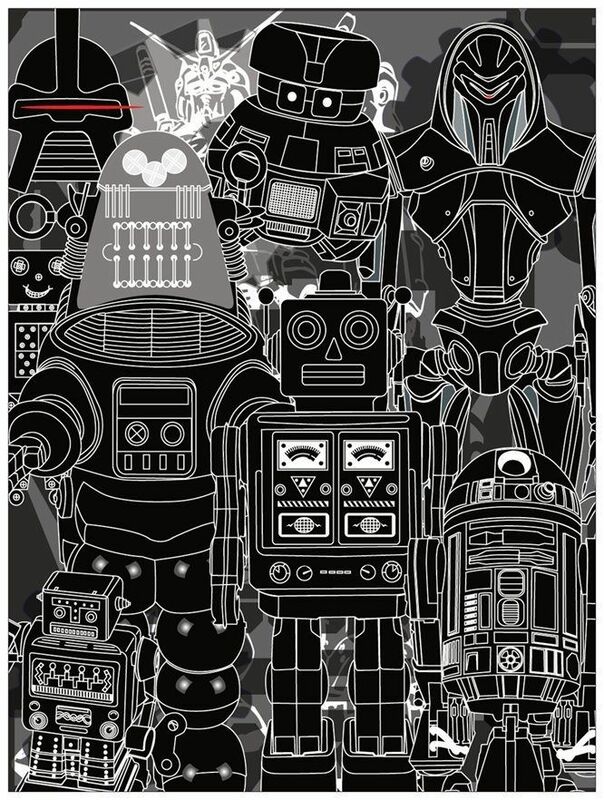 18.26" x 24.26" Poster of the Robots from Sci-Fi Movies and shows. It has Cylons new and old, R2D2, Robby the Robot, Block Hole's Vincent etc. Poster has a matte stock.